The Korean-built Latitude is Renault's top-of-the-line car. PARIS -- Car buyers across Europe are able to buy Renault's new top-of-the-line model, the Latitude, except in Germany. Renault offers a leasing-only package for the Latitude in Europe's biggest market, where the sedan faces tough competition from entry-level models from German premium brands, as well as from mid-sized offerings from volume brands such as Volkswagen, Ford and Opel. “Gaining market entry by offering a model for leasing only will serve as an experiment for Renault,” a company spokesman said. Customers can lease the Latitude in Germany starting at 400 euros a month including maintenance costs. In European countries outside Germany, buyers can purchase the Latitude outright. 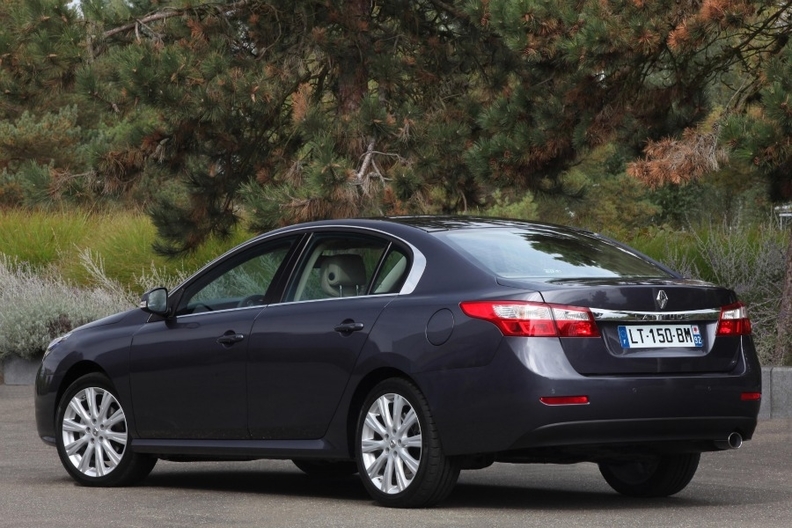 In France the sedan sells for between 32,500 euros and 45,000 euros. Renault is positioning the Latitude as its flagship model following last year's phase-out of its poor-selling Vel Satis. Unlike the Vel Satis, whose quirky design failed to attract buyers in Europe's luxury market, the Latitude has a classic sedan look . The Latitude is aimed at the company car market, which accounts for a high number of sales in the large-car segment, said Matthieu Galipeau, Renault's product manager for the Latitude. “It is geared toward executives who seek comfort and driving performance,” Galipeau told Automotive News Europe. The company-car target market is slightly larger than individual car owners, but the split is close to 50-50, Galipeau said. Renault has lowered the price of the Latitude, compared with the Vel Satis' price, which was close to that of German premium models, Galipeau said. The Latitude will compete in price against the Citroen C5, Peugeot 508, Ford Mondeo and Volkswagen Passat, but not the Opel Insignia, which retails for a lower price. The Latitude also sells for a price higher than the automaker's smaller Laguna mid-sized car, Galipeau said. 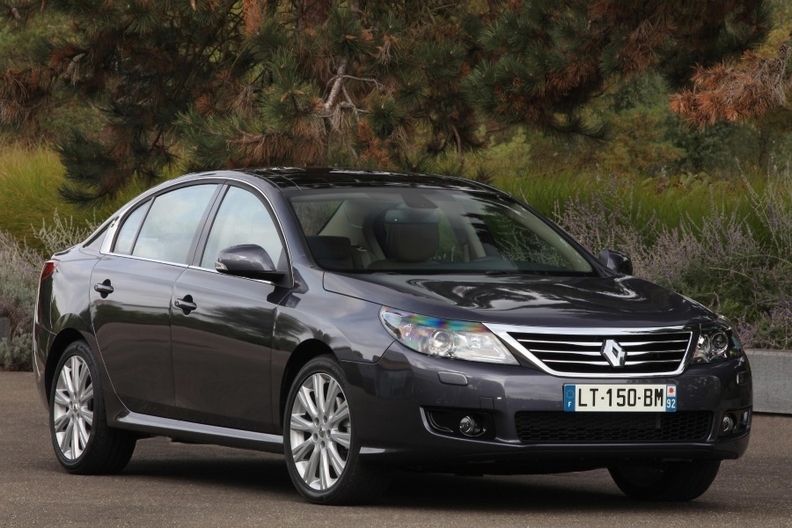 Renault hopes the Latitude's classic sedan styling will win buyers. Main competitors: Citroen C5, Peugeot 508, Ford Mondeo, VW Passat. Annual production: 10,000 units a year. Base price: 32,500 euros (France). Best bits: An indoor air ionizer. Massaging seats. Filter system that prevents air and noise pollution from entering the interior and three-zone air conditioning setting for the driver and front- and back-seat passengers. The Latitude is built at Renault Samsung's factory in South Korea. The plant also builds the Renault Koleos SUV. The Latitude shares a platform with the Samsung SM5, which went on sale in South Korea early last year. However, the interior has been improved for both mid- and full-sized segment car buyers' tastes in Europe. The Latitude is available with a a 2.0-liter gasoine engine, mated to a manual six-speed transmission. The diesel lineup features two 2.0-liter engines, or a V-6 unit. All three diesels are offered with either an automatic or manual six-speed transmission. Renault also sells a lower-spec Latitude in Russia and in African markets.